A family of eleven sizes is now available from 6-pin on .300' centers to 40-pin on .600" centers. Closed frame insulators are vision system compatible with industry standard pick and place machines. Insulators have a central vacuum pad for handling by the pick and place machine. Insulator material is high-temp Nylon 46, suitable for all forms of reflow soldering including "lead-free." 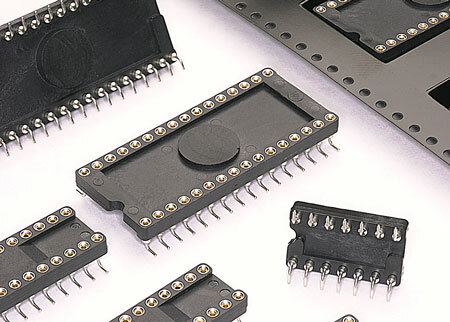 Sockets use precision-machined pins and stamped beryllium copper spring contacts for the highest reliability.